Become a sponsor, a vendor or just come and have some fun! Mark your calendar October 8-9. 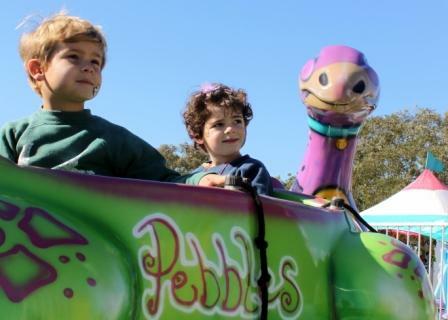 Mumfest 2016 promises another grand fall weekend of family fun - something for everyone. To enhance your visit The Charm Package is a special way for New Berns overnight guests to take advantage of exclusive discounts and services while visiting our charming town. It all starts with selecting your discounts from dining, shopping and everything in-between. Mumfest a city sponsored event, produced by Swiss Bear Downtown Development Corp., is one of the finest award winning festivals in the state of North Carolina.The combination of family fun, entertainment, attractions, exhibitors and savory foods in the beautifully restored setting of downtown New Bern and its waterfront, is enjoyed by more than 90,000 festival-goers every fall. Capturing the excitement at Mumfest 2014. An annual Reader's Choice winner as Best Festival and Southeast Tourism Society's Top 20 October Events, makes Mumfest an event you don't want to miss. Make plans now to come early for this great country music concert celebrating MUMFEST's 35th anniversary. Friday, October 9, 5:30 p.m.- 9:30 p.m. Gates open 5:00 p.m. The South Lawn at Tryon Palace will be the site of the first MUMFEST Kick-off concert presented by Bojangles' featuring the popular country music band, Love and Theft and another well known performer, Bryan Mayer as the opener. Click here for more about the music. $10 in advance, $15 day of the concert. Tickets also available downtown New Bern at Mitchell Hardware, Beer Army Burger Company, New Bern Riverfront Convention Center and Lawson's Landing. Make plans to stay for the MUMFEST Kickoff Concert After Party! at DoubleTree by Hilton New Bern Grand Ball Room 9:30 p.m.-12:30 a.m. Door cover charge and cash bar. Amanda Durnell of Raleigh is someone to look up to. Way up. She is part of Down to Earth Aerials who, along with her protege Rebecca Vick, will be performing daily in Union Point Park. The duo have been performing both locally and regionally and love entertaining and interacting with people. 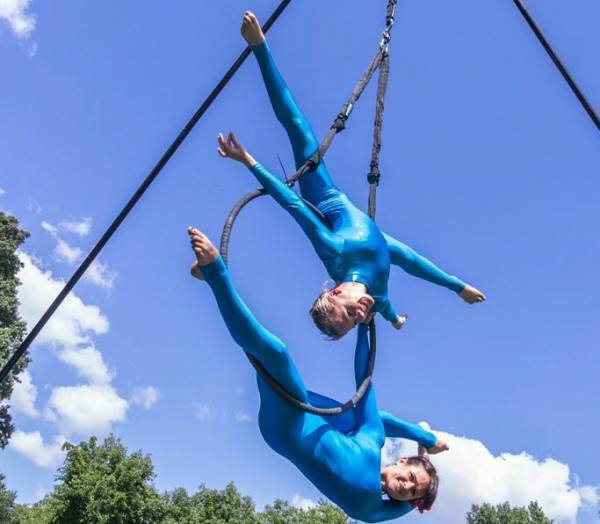 One of the most popular featured acts is a blindfolded aerial hoop duo on a moving, spinning apparatus. The performances specialize in aerial hoop, static trapeze, and aerial acrobatics on the fabric suspended 16 to 30 feet high on their portable indoor or outdoor rig. You will be mesmerized and amazed as you watch them gracefully glide, and climb on the fabric with stunning, intricate choreography. John Higby is the the Yo-Yo Guy! John has performed all over the world with an interactive performance using yo-yo's, a unicycle and a giant yo-yo that he walks on! Specializing in family shows, you don't want to miss this great show for all ages! 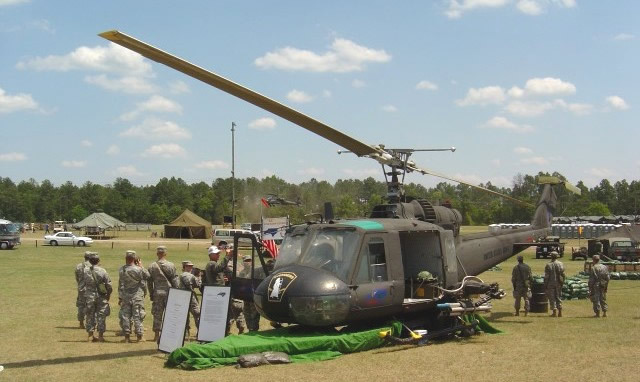 Mumfest is proud to announce the addition of The North Carolina Vietnam Helicopter Pilots Association (NCVHPA) and its display of five Vietnam era helicopters. Young and old alike are welcomed to climb aboard these helicopters, explore and talk with the people who were there and had the experiences – taking advantage of an opportunity that later generations will only read about. For more information about this organization and learn more about the helicopters Click here. 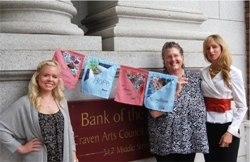 Craven Arts Council & Gallery and Coastal Women's Shelter are joining forces to raise awareness about domestic violence in the local area with a project called "Flags of Hope". It is inspired by the ancient Tibetan Buddhist tradition of rectangular "prayer flags" strung up to bring blessings upon the land. To view these beautiful pieces of art and a thought provoking exhibit during MUMFEST stop at Bank of Arts, 317 Middle St.
Bank of the Arts will also feature music on Saturday. New Bern Fire Department - new exhibits, two new locations, the new Fire Safety House and a very special guest! NBFD has so many new things planned this year they'll be at two locations; next to the original Fire Station on Broad St. and at the corner of Broad & Middle Streets. Engine 5 a1933 fire truck and Engine 15, a 1986 fire truck will be on display and some cool cars of the same era. Climb on board the shiny fire trucks and talk with career & volunteer fire fighters. Ladder 2, Coast Guard Rescue Boat, Cherry Point Crash Crew, Urban Search and Rescue Truck along with fire extinguisher trainer, volunteer recruitment and other exhibits will be on hand. If you ever thought about becoming a volunteer, information will be available. The Community Emergency Response Team (C.E.R.T.) will be there to assist and answer all your questions. 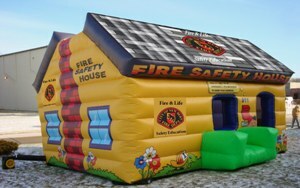 If you missed the old Fire Safety House in the past, they now have a new, exciting one that kids go in and learn about fire safety. 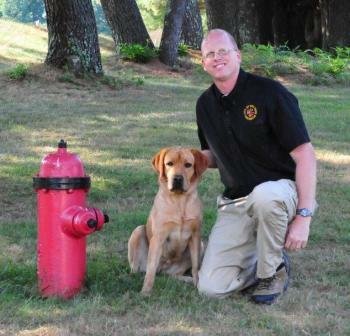 The newest member of the fire department staff, K-9 Darby will be at Mumfest with demonstrations each day. Darby is a 2 year old Goldendor. As part of the fire investigation team she helps investigators determine the best place to collect samples at a fire to determine if flammable liquids were used to start a fire. Fire Marshall and K9 Handler D.T. Hill will be conducting demonstrations at Broad & Middle Streets. Check Schedule of Events for times. The high energy performances set to music, include roll back catches, two-legged balancing acts on the trainer's feet and jumping nearly 10 feet in the air to snare a flying disk. 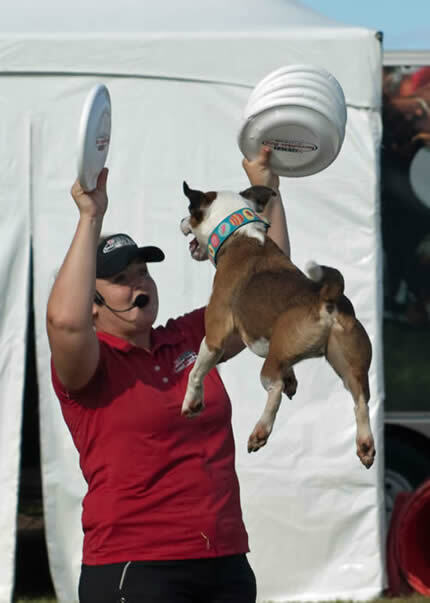 Laura has judged and taught frisbee in Japan, Europe and Canada and will be available after each show to answer your dog training questions while you meet the stars of the performances, the dogs. 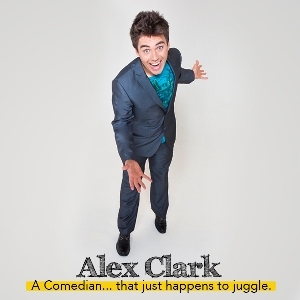 Alex Clark...a comedian who just happens to juggle. Whether he's juggling meat cleavers or flinging jokes, Alex leaves the crowd gasping for air in both awe and laughter. Finishing his show atop a 10 foot ladder, Alex is a comedian that stands above the rest. Live performing is where it starts at the corner of MIddle and Broads Streets daily. 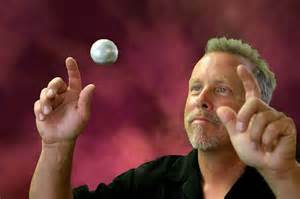 Steve Wille has been performing magic for over 25 years and has appeared on TV in both the U.S. and Bermuda. Aside from a 6 night a week show in Long Island, he also worked as a street performer in Key West, the South Street Seaport in New York and performed with Joan Rivers at Sundays on the Bay. 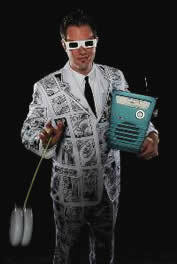 Steve is a talented magician, entertainer and a real crowd pleaser. He has been a MUMFEST favorite for years! While watching the New Bern Police Dept. K-9 demonstrations on the corner of Craven and Pollock Street remember that there is nothing ordinary about these wonderful animals. They ride in police cars and helicopters, they search for lost people and frightened children, and they sniff out drugs and bad guys. But most important the dogs earn the right to carry and badge and deserve our thanks. Don't miss these amazing demonstrations, Saturday and Sunday - 10:30 a.m., 1:00 p.m., 3:00 p.m. Watch them in action here . Officers of NBPD will be volunteering to get dunked in a dunk tank, to raise money to support the Explorers Program Post 5321 sponsored by New Bern Police Department. Take a chance and dunk your favorite or least favorite New Bern Officer. 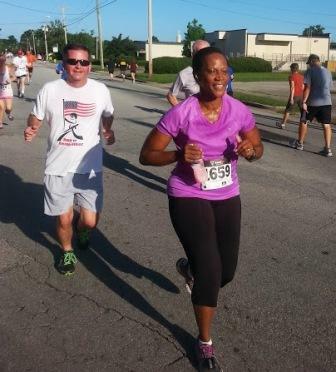 Run for Mums is a New Bern Parks & Recreation featured event. 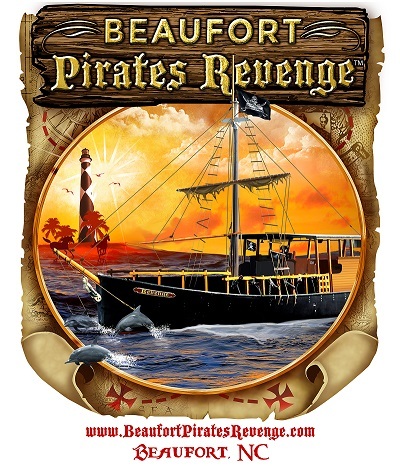 This flat course race begins and ends at Union Point Park and goes through New Bern's scenic historic district. Awards will be presented (5K only) to the overall 1st, 2nd, 3rd place male/female runners in each age group. Registration begins at 6:00 a.m. Start time 7:30 a.m. Early registration Fee $25-5K, $20-1Mile. $30. After September 12; $30-5K & $25-1Mile. For more information contact Trevor Freitas 252-639-2907 email: freitast@newbern-nc.org or Carey Ashcroft 252-638-4509 email: cwsfundd@coastalwomensshelter.net. To register click here: Run-for-Mums-5k-2015 or dowload Run for Mums Registration Form. Information about Coastal Women's Shelter go to www.coastalwomensshelter.org or call 252-638-4509. The model railroad and Thomas the Train exhibit brings smiles to enthusiasts of all ages year after year. Thomas is a cheeky little blue wooden train with lots of friends and accessories that make him so lovable. On a grander scale, the double track HO scale model railroad is a marvel of detail and technical know-how. A must see for enthusiasts. Don't miss the beloved Carolina Coastal Railroaders train exhibit at Sudan Temple on Broad St. An all-time favorite! 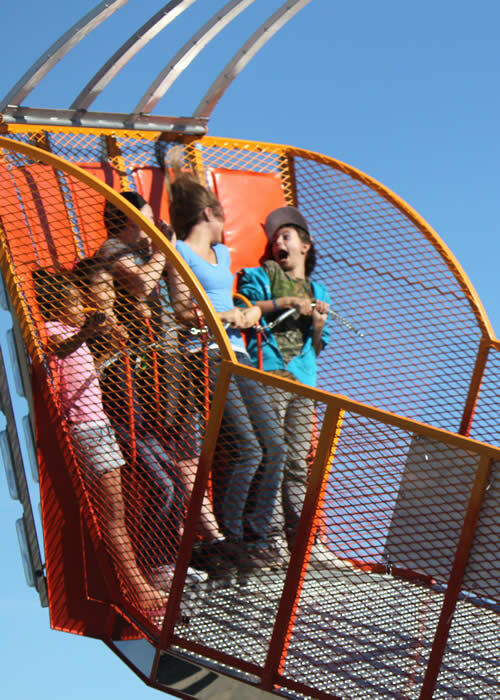 Amusement Rides - a festival must! Enjoy a beautiful boat ride. Get around by water and avoid the hassle of trying to find the perfect parking spot! Water taxi service will be available between Lawson Creek Park and Union Point Park during festival hours Sat. 9:30-6:30, Sun. 9:30-5:00. $5 per adult, $3 per child one way, cash or credit. Service provided by Morehead City Ferry Service and Tour New Bern. Corner of Middle & Pollock Streets, has hundreds of pumpkins of all sizes, gourds, Indian Corn and much more all in time for the fall season. All proceeds benefit local outreach. Open 9-6 Saturday, 12-6 Sunday. We will be adding more of your festival favorites as details are confirmed. • Tryon Palace Historic Sites & Gardens ablaze with the majestic fall colors of thousands of mums. Gardens open free Friday & Saturday. Check back often and watch the list of attractions grow! ©2013 COPYRIGHT SWISS BEAR DOWNTOWN DEVELOPMENT CORPORATION. ALL RIGHTS RESERVED.